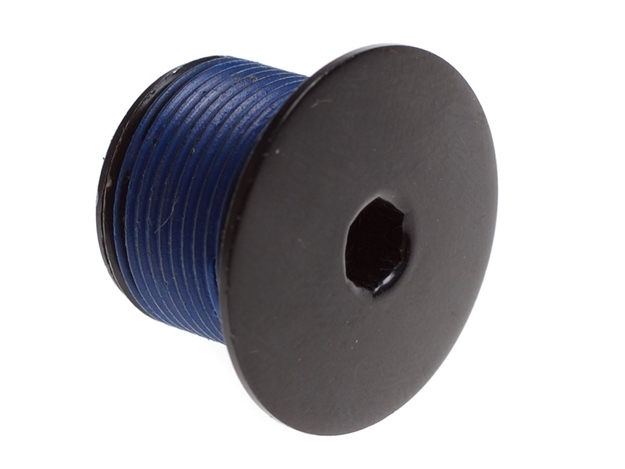 Compression cap for BLB Notorious Track cranks. 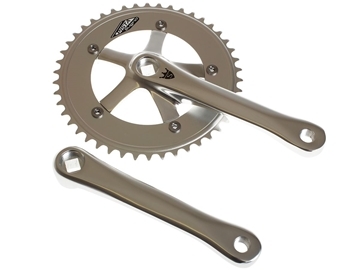 Sugino Pista crankset is a forged alloy 170mm crank with and 1/8th chainring, ideal for single speed, track and fixed wheel bikes. 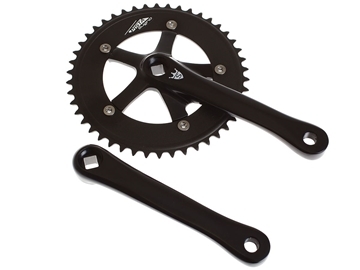 This crank is designed for track use primarily but would look great on any single speed converted road bike.